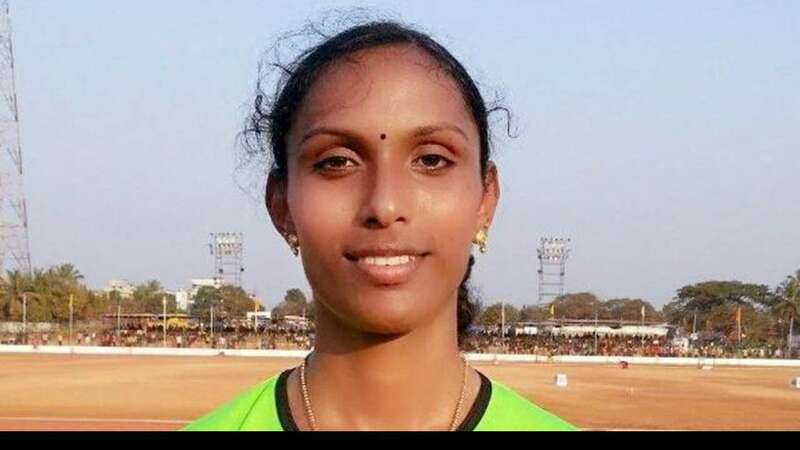 Sheena Nellckal Varkey emerged the lone Indian medal winner as she bagged a silver in women's triple jump on the opening day of the Asian Indoor Athletics Championships in Tehran on Thursday. Sheena cleared 13.37m to finish second, behind Kazakhstan's Lrina Ektova who had a jump of 13.79m. Thi Thu Thao Bui of Vietnam was third with 13.22m. Two Indians -- Dutee Chand (60m) and Sanjivani Jadhav (3000m) -- did not start their races. Dutee did not travel to Tehran due to a minor injury on her wrist she suffered during training in Hyderabad. In case of Jadhav, her visa did not reach on time. Triple jumper Arpinder Singh also will not take part in his event. India are being represented by 13 athletes in the three- day championships. Meanwhile, a day after Prime Minister Narendra Modi flagged off the first Khelo India School Games in New Delhi at the Indira Gandhi Indoor Stadium, the country's sporting legends have come in unison to laud the efforts made by the Ministry of Youth Affairs and Sports led by Colonel Rajyavardhan Singh Rathore (retd). Legends like PT Usha, Bhaichung Bhutia, Vijender Singh and iconic para athlete Deepa Malik are of the view that the initiative would strengthen the system right from spotting talent, to grooming them and will benefit the country in the years to com. They also felt that the Khelo India would leave a lasting impact on Indian sports and would bring a paradigm shift in the country's sporting culture. Sharing the trials and tribulations that she underwent, former track queen and top athlete PT Usha recalled the days when she was coming up through the ranks. She said, "We used to get support only after winning medals. We did not have a system that Khelo India is trying to put in place to capture, groom and nurture talent. Our young athletes are very fortunate to find this kind of support from the government. I am sure Khelo India will go a long way in all-round development of sports in India." Expressing his sentiments, ace footballer Bhaichung Bhutia said that the pyramid structure of Khelo India will have a strong and lasting impact at the grassroots level, adding that it has the power to bring a significant change the way sports is perceived in the country. "It is important that we reach out to the kids and encourage them to go out and play. That's what Khelo India is intended to achieve. I am sure Khelo India will help to spot a good crop of fresh talent in greater numbers," said Bhaichung. Dipa Karmakar, who made history at the 2016 Rio Games by becoming the first gymnast from India to qualify for Olympics, believes that Khelo India would have a direct bearing on India's future medal prospects. "It's a great opportunity for India to improve its medals tally in the 2024 and 2028 Olympics. If all those who are selected through this programme train well, follow schedules and don't have to worry about financial support, India will definitely win more medals than expected," said Dipa. Deepa Malik, one of India's most decorated para athletes, who won a silver medal in the F-53 shot put event in the 2016 Rio Paralympics Games, felt that only when more people take to sport it will be the first step in the direction of becoming a global sporting superpower. "It is high time we pushed the country to become a sporting nation. If we talk about sports excellence then the total population of the country doesn't matters. What matters is the sporting population. It is only when we start catching talent at a young age and an impressionable age, it will help in inculcating the good habit of sports as a healthy lifestyle. It will help in changing the image of new India and transform India into a sporting powerhouse," she said. Meanwhile, India's boxing sensation Vijender Singh insisted that Khelo India has the potential to change the face of Indian sports. "It's a very good initiative by the government and a step in the right direction. It will give a huge boost to India's Olympics aspirations. I lend my full support to the Khelo India initiative," added Vijender. The Khelo India programme has been introduced to revive the sports culture in the country at grassroots level and make India a sporting nation. In keeping with Prime Minister Modi's vision, Khelo India is expected to help scout young talent from the schools in various disciplines and groom them as future sports champions. Talented players identified in priority sports disciplines at various levels will be provided annual financial assistance of Rs 5 lakh per annum for eight years. The 'Khelo India' programme, was initially launched by former Sports Minister Vijay Goel but was later revamped by his successor Minister of State for Youth Affairs and Sport, Col. (Retired) Rajyavardhan Singh Rathore. Over the coming nine days, Under-17 players will vie for 199 gold medals, 199 silver medals and 275 bronze medals in across 16 disciplines: Archery, Athletics, Badminton, Basketball, Boxing, Football, Gymnastics, Hockey, Judo, Kabaddi, Kho-Kho, Shooting, Swimming, Volleyball, Weightlifting, and Wrestling. The school games will be held at multiple venues in Delhi. The Jawaharlal Nehru Stadium and Indira Gandhi Stadium Complex are among the venues where the games will be held. The inaugural games, which begun yesterday, will conclude on February 8.